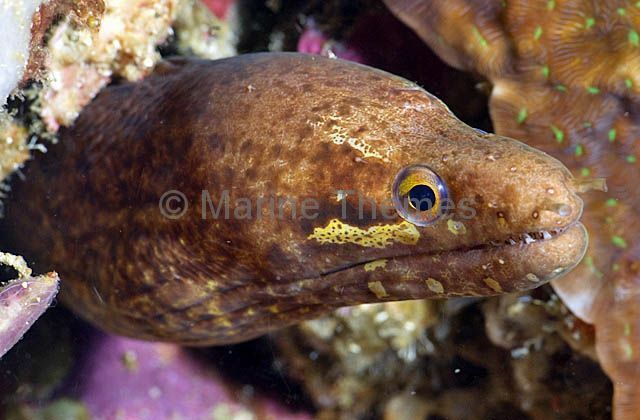 Green Moray Eel (Gymnothorax prasinus) Juvenile caught on discarded fishing line. 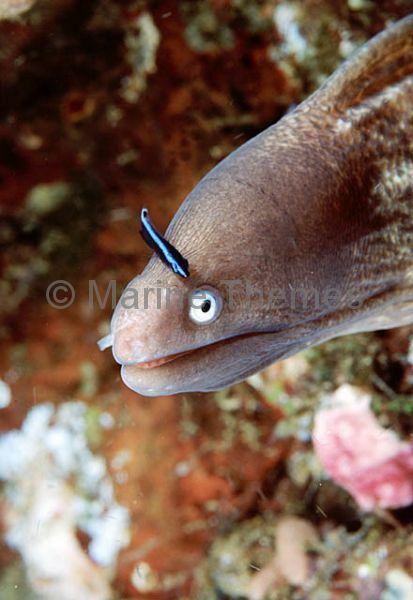 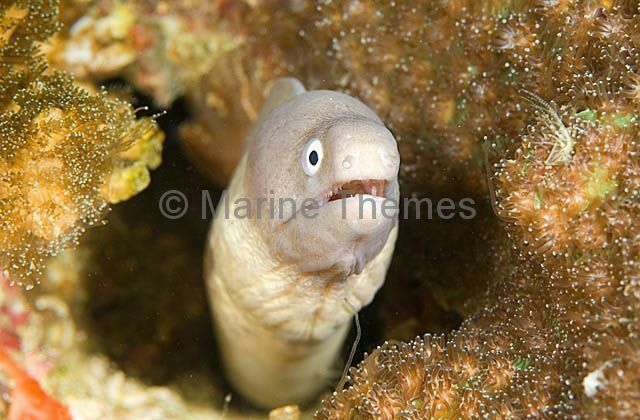 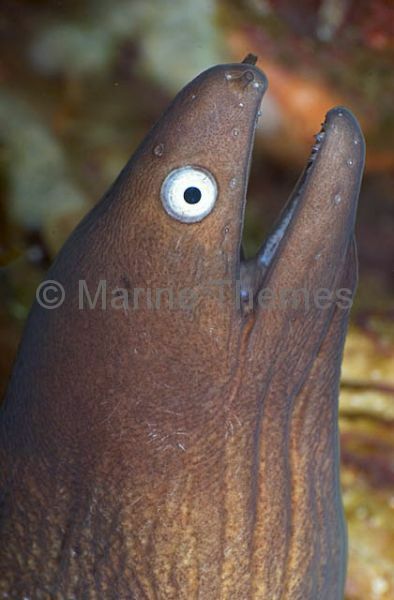 White-eyed Moray (Siderea thyrsoidea) peering from reef crevice. 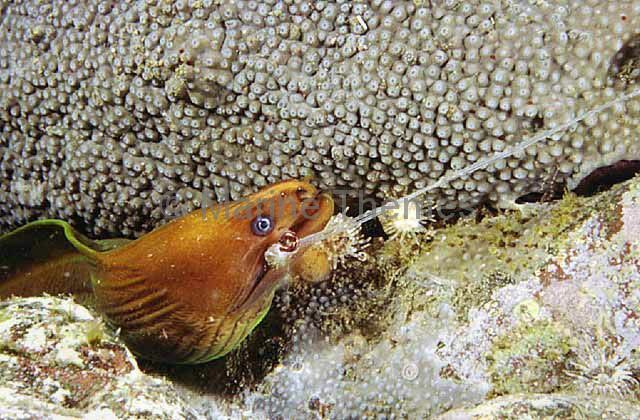 Green moray (Gymnothorax funebris) being cleaned by angelfish. 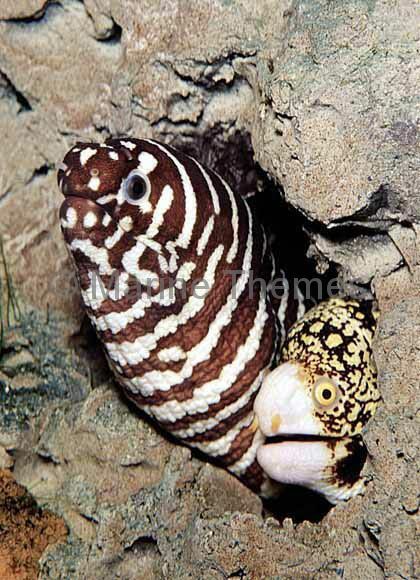 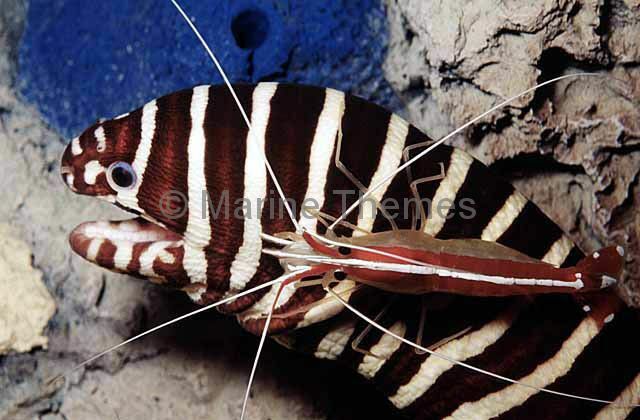 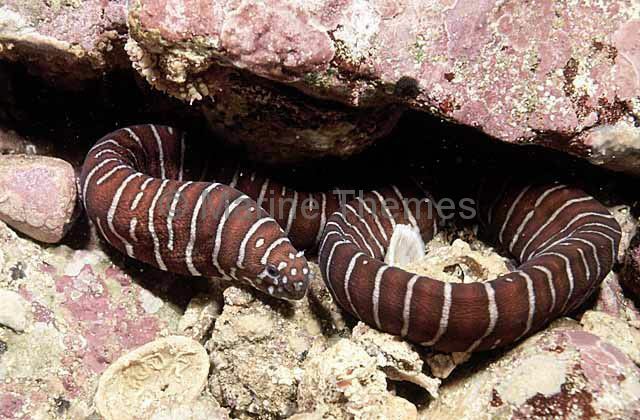 Zebra Moray (Gymnomuraena zebra) and Starry Moray (Echidna nebulosa) sheltering in reef. 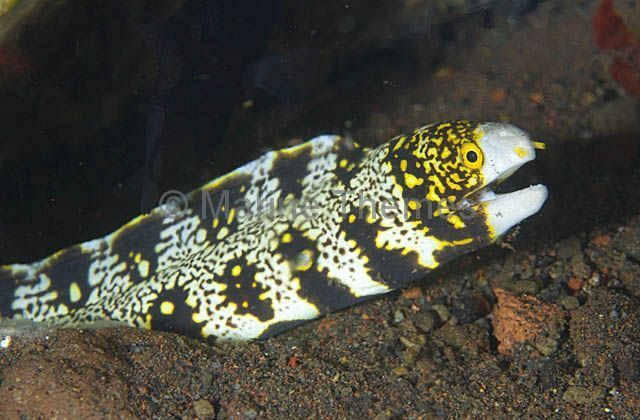 Undulate Moray (Gymnothorax undulatus) Juvenile colour variation. 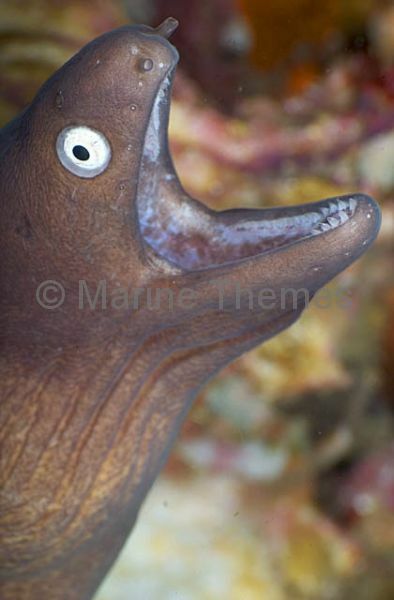 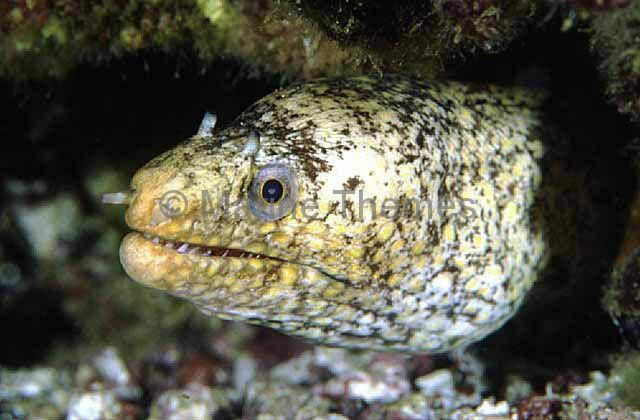 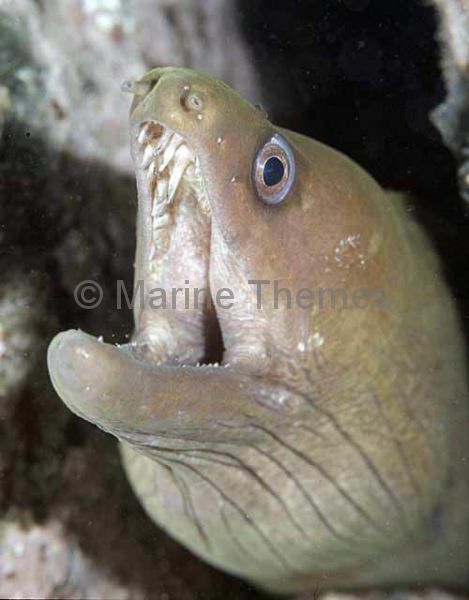 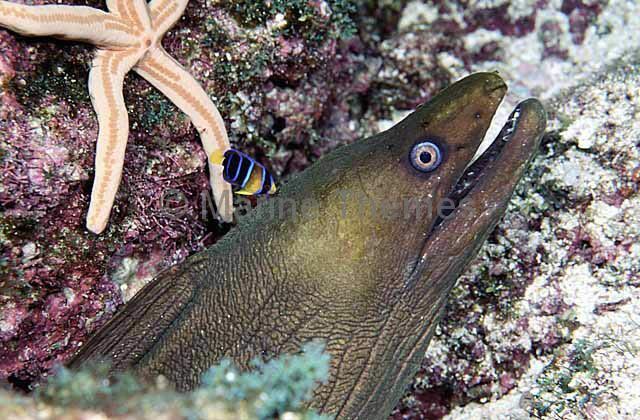 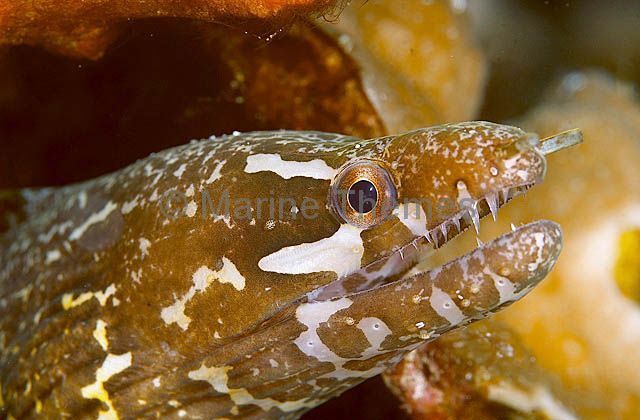 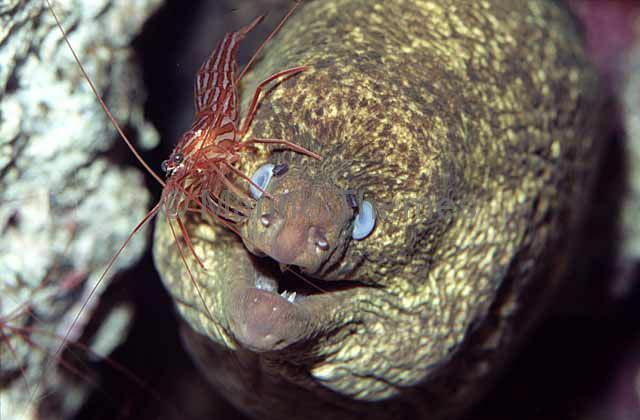 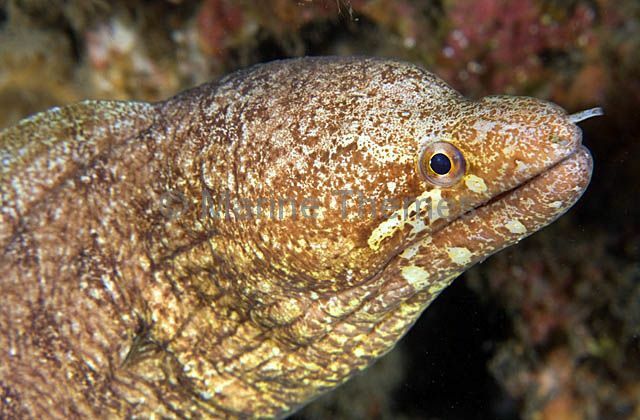 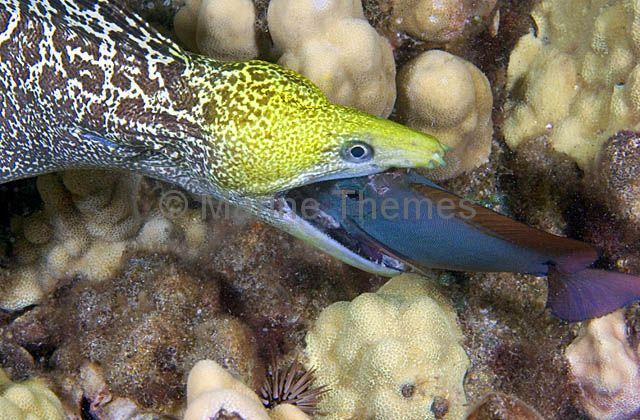 Undulate Moray (Gymnothorax undulatus) capturing and eating a Surgeonfish at night on coral reef. 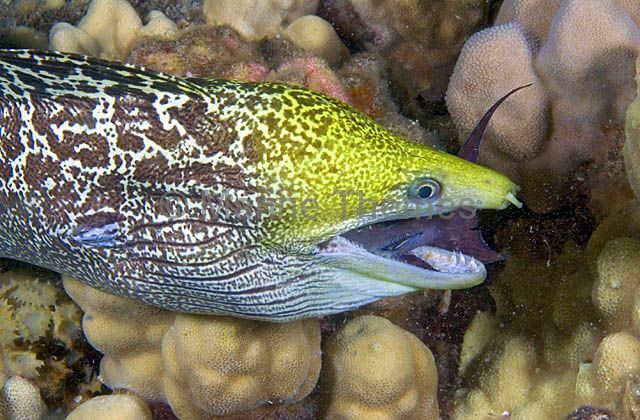 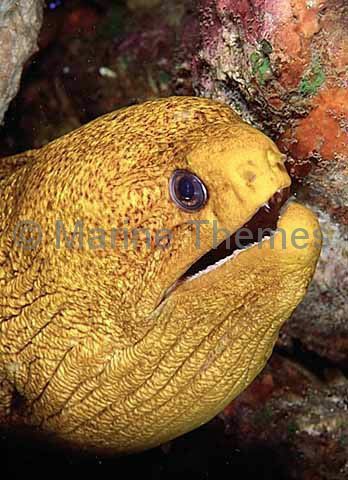 Undulate Moray (Gymnothorax undulatus) eating a Surgeonfish at night on coral reef. 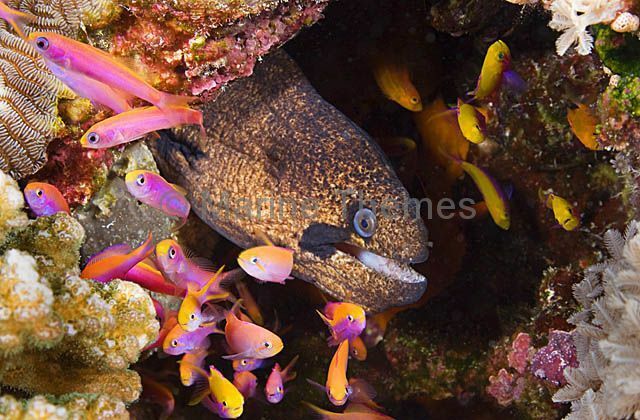 Greyface moray (Gymnothorax thyrsoideus) with cleaner wrasse.